Everyone – whether they’re kids or kids at heart – likes to play. One of the best ways you can boost morale among your employees or make customers smile is by giving them custom novelty gifts and toys from Seaboard Graphics. 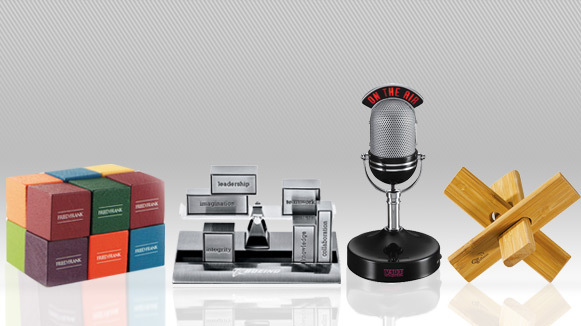 Want to give your employees custom toys and gift items that will lighten the ambiance of their dark cubicle? Giving them novelty items like rubber ducks and piggy banks will brighten any office. Consider giving employees custom toys like stress balls and executive games to help employees get out the stress they feel from a project. Unique novelty gifts like balloons can help you and your employees celebrate the company’s anniversary. Have a design already in mind, or need a little help? Not a problem. Seaboard Graphics’ team of talented designers will help you customize novelty and toy products that will make your logo stand out and look great. To find out more about our line of personalized toys and novelty gifts, just give us a call at 800-721-1663 or contact us today.